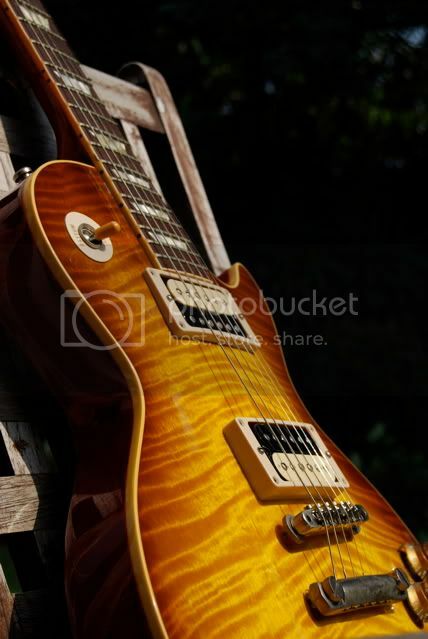 vintage ones, feel free to share your stories on how you acquired your precious Gibsons. 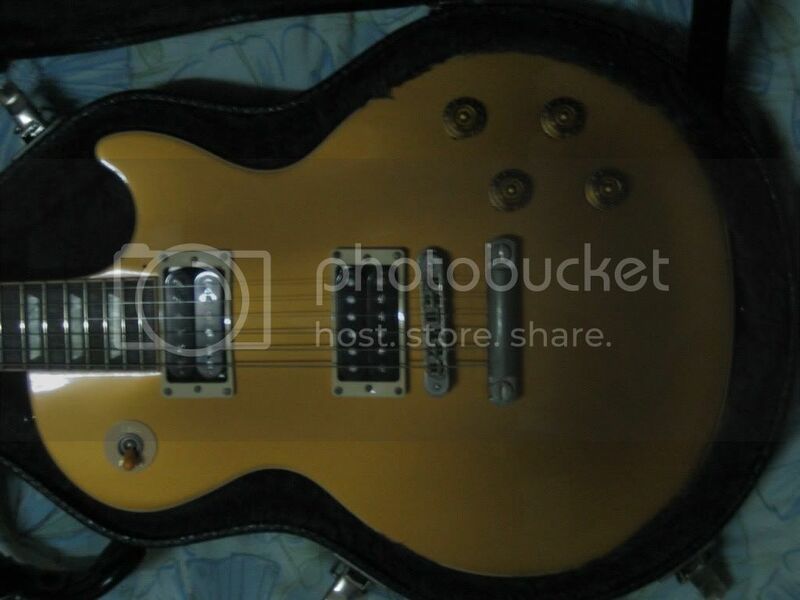 tanong ko lang, lahat ba ng Gibson e gawa sa USA? So i went to a music store with the money i made for the month and scouted for a guitar. I was already eyeing a firebird and an explorer guitar. So i found a beautiful white Gibson explorer and a Firebird V with those mini humbuckers, it took me an hour to decide on what to get. When i was choosing a thought passed by me saying, if i'm 50 years old and bald, an explorer wouldn't look right on me so i opted for the bird instead. i've got to have one of those someday. 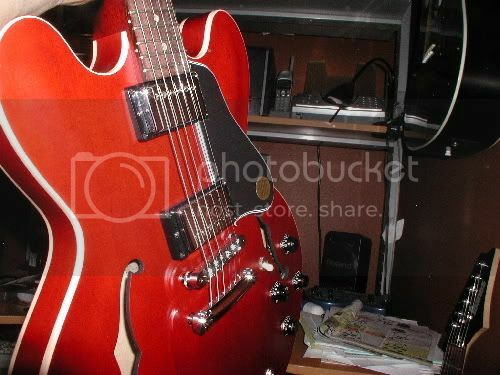 Used to own one, a 2004 Gibson Faded Cherry V-Factor. Sorry guys but I must say I wasn't impressed with the guitar. I love Flying V's (used to have three now I only have one) and the one I left is an Epi '58 Korina RI. Finish wasn't stunning at all, fretwork and detail was mediocre. Considering it's made in the USA I compared it with my American Deluxe strat or my former American/highway one partscaster and Gibson lost miserably. I was also shocked to discover that the Epi felt a lot better than the Gibson that's why I sold it to its new happy owner Rabidtongue. I guess I wouldn't be that hyped with Gibson's anymore...unless they make the '58 Flying V RI haha. Mico! Sell me that paul I like it. I only have one gibson left. My r9 (avatar). I sold everything else. meron ako isang 2002 gibson sg faded cherry na half-moon ang inlays. hanap ko yung gibson pickup sound eh, papalitan ko din yun pag nakahanap na ko ng appropriate gibson pickup for that sg. i like that sg because it is very light and easy player sha. tsaka 70's rock look ang sg so this guitar will stay with for a good number of years din siguro not unless makakuha ako ng sg standard na cherry. Burstbuckers ilagay mo sa SG mo. meron ako LP studio, wine red colored. bigay sakin ng uncle ko, retired guitarist na. hindi daw niya mapamana sa mga anak niya dahil drummer yun isa at walang interest sa music yun isa. nun makuha ko yun LP sobrang nalula ako. i've always been a fan of LPs and i never thought i'd own a gibson. i've tried playing with it, nagulat ako sa tunog! the chords sounded complete, you could hear the clear resonance of the bass and treble strings. the leads i was doing sounded thick rich and warm. it was orgasmic! at that time i was a reckless college boy, spending most of my money on cs and dota. 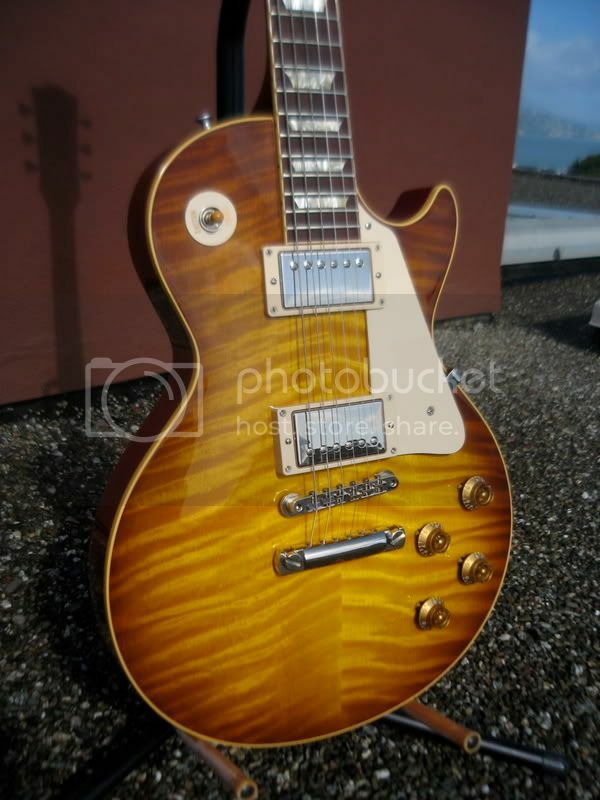 i was already playing in small bands then but i settled with an RJ LP since it was the only one i could afford..
moving forward, after acquiring the gibson LP, my musical influences changed, my playing styles improved(?). sobrang laking pasasalamat ko din sa uncle ko. i'll never let go of this LP. ipapamana ko rin ito sa mga magiging anak ko. Honestly, the firebird studio is top heavy and can really get your left hand tired, but the tone is really awesome, much better than my Les Paul. The firebird will remain stock. saludo ako sa firebird mo sir! ang ganda ganda ng lester mo! yowza! Mics, why do you want my paul??? May R9 ka na eh, and besides the wife won't let me sell any of the Gibby's, though i'd like to try something else. Always wanted a LP with active EMGs ala zakk Wylde, just cant justify putting them on a reissue. Hahaha. Its all in my head. Grabe, one of the prettiest LP's I've seen.